One week up! Which means we’re a quarter of the way through this challenge. Day 7 – Favourite game couple. "If you see Aerith, I’m counting on you to take care of her." It was sooooo sad to see how this romance ended up in Crisis Core: Final Fantasy VII. But after the events of the main game, it’s good to know they’re both together now in the Lifestream. So what couple am I talking about? Zack Fair and Aerith Gainsborough. 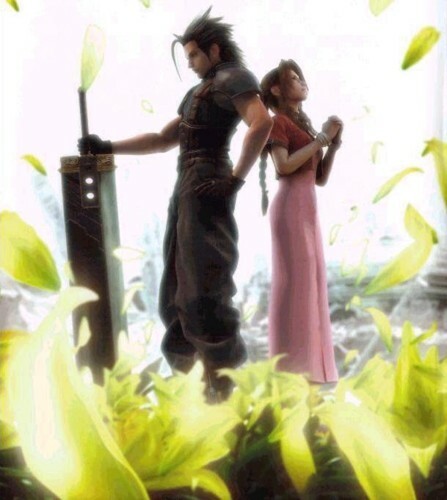 Forget Cloud, Zack and Aerith were always meant to be. If you’ve played the game, you’ll realise how close these two would have gotten if it weren’t for damn Shinra and the Turks. This made the already sad ending even sadder . Honourable mention to Nathan and Elena from Uncharted .